We're serving up sustainable seafood at our brand new Oceanside Grill! 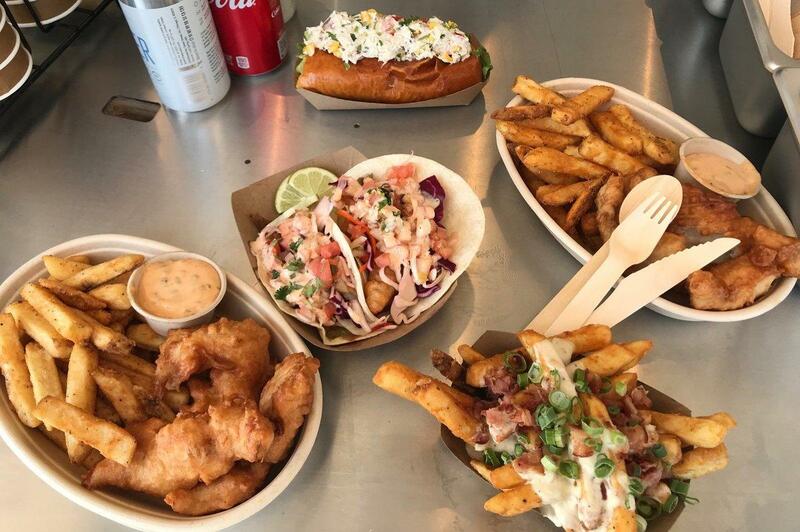 Located on the Coney Island boardwalk stop by for sustainable food like fish tacos and fish and chips. Grab something to eat and enjoy the best view in New York. The grill is a no single-use plastic zone and all food is served on environmentally-friendly packaging: no plastic straws, cups, bags or other items. Current hours: Saturday and Sunday; 11 a.m. - 7 p.m.
Due to construction, the main dining area is currently closed. During the warmer months, vending carts are located around the facility, offering a variety of snacks, including ice cream, hot dogs, and more. For those in search of more than a minnow or two, the nearby boardwalk has some great options, too.